President Trump will spend 5.5. hours on the ground in San Juan, Puerto Rico Tuesday, surveying Hurricane Maria's damage. But Trump will likely stay in and around the island's capital, where 400,000 of Puerto Rico's 3.5 million residents live and where hurricane recovery is progressing with disproportionate speed. 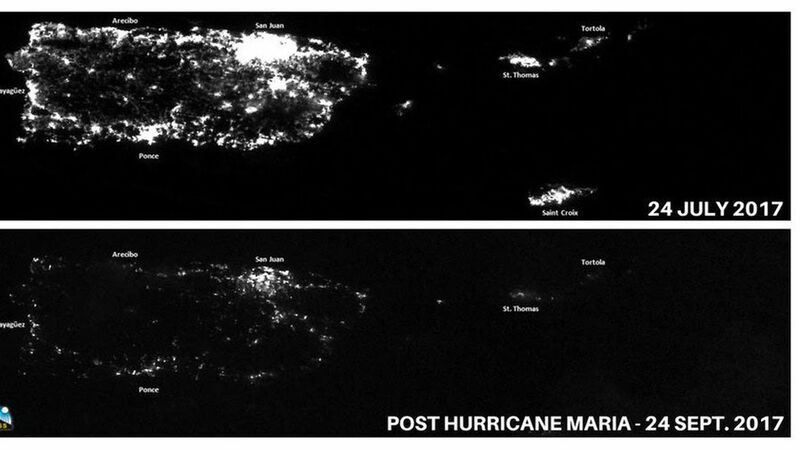 Meanwhile 95% of the island is still without power, and half of Puerto Rico still lacks clean drinking water. Why it matters: Blocked roadways and a lack of truck drivers have kept much of the food, water, medicine and other resources shipped to Puerto Rico at the Port of San Juan. During his visit, Trump will see a city on its way to recovery.